The Cat Fancy Has Lost A Treasured Friend. On Saturday, June 19 at 6:30 a.m., Anna Sadler quietly passed away in a hospital in Texas. "Anyone know who owns that cream and white cat that just was Best Cat?" I answered, "She's mine. Is something wrong?" "Well you have a problem. You aren't going to be able to take your cat back with you when you leave." Stunned, all sorts of thoughts rushed through my mind. Was it something to do with quarantine for rabies? Then the person smiled and continued. "Because I intend to take that gorgeous cat home with ME!" Everyone laughed - and that was how I first met Anna Sadler and was introduced to her legendary sense of humor. 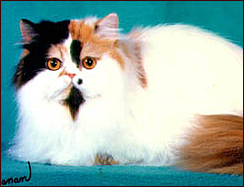 Anna began breeding Persians under the Brannaway prefix in 1976. Brannaway Persians was born out of her lifelong love of cats and a need to fill a void. The void was created when a long-time furry friend that had never forgotten his outdoor feral roots escaped from the safety of her home and was mowed down by a speeding car. While searching for the right kitten to fill that empty place, Anna and her husband, Wayne, stumbled onto the world of cat shows and discovered the joys of the elegant and loving Persian cat. 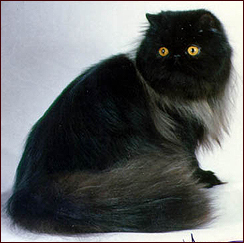 In 1992, Anna's black female Persian, GC, GP, NW Brannaway Broom Hilda, was campaigned by Elaine & Ken Crews of Fleurelaine to 3rd Best Cat in Premiership in CFA. They also campaigned her second (and last) national winner, GC GP NW Brannaway Puddin' of Fleurelaine. Puddin was the oldest cat to attain a national win in CFA - 10 years, 10 months old, at her final show when she was 3rd Best Cat in Premiership. Anna was so proud. 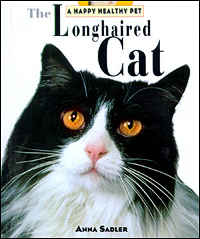 For more than a quarter century, her regional and national winning cats graced the show halls in general and the Bi-Color Persian rings in particular. 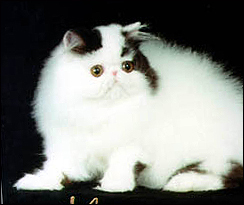 The Brannaway name and bloodlines will continue in the pedigrees of the modern Persian show cat. Anna was not only a breeder and exhibitor, however. Anna was very involved in combating anti-breeder legislation... perhaps her greatest legacy to the cat fancy. She was the spirit behind CFA's legislative force. She was bright, clear and strong in her convictions - dedicated to preserving our rights to responsible cat ownership. Anna was also involved in cat rescue. She could be counted on to do whatever needed to be done to save a cat in distress and to find it a safe haven. Her fierce love of her treasured Persians was extended to all felines in need. Anna was an author of repute, both of articles and books. 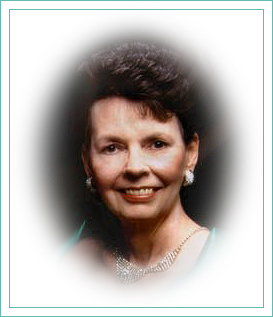 Anna was a multi-talented woman of determination, practicality, good humor, and passion. She embodied the best that each of us strive to be in the cat fancy. She will always be remembered as a woman who lived her life fully and lived it well. The Cat Fancy Has Lost A Treasured Friend.